After 175 years, liquor is once again flowing through the streets of the Distillery District, thanks to amendments the provincial government has recently made to the Liquor Licence Act. Designed to improve tourism and local economies, while offering increased flexibility to businesses, the amendments will remove some previous barriers and restrictions to liquor sales licenses, special events and festivals. "The result," says Mathew Rosenblatt, of Cityscape Developments, "is that the Distillery District will be first location in the City to offer drinking regulations which conform to these new policies. In other words, this weekend, visitors to the District will be able to leave our licensed establishments and patio spaces and roam the brick lined streets carrying beer, wine or alcohol." The first public event at the Distillery, this summer, to take advantage of the new regulations will be the TD Jazz Festival, followed by the Mountain Co-op Bike Fest on Saturday June 25th, and the Food Truck Eats event on July 2nd. "This weekend's TD Jazz Fest is the perfect way to enjoy this new approach to drinking," says Mathew Rosenblatt. "Visitors will be able to come down this weekend and hear some world-class jazz musicians while walking around with their favourite libation. What a way to spend a summer day in the city!" 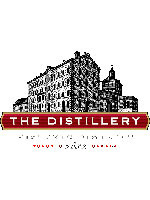 The special liquor regulations at the Distillery District will be available June 24th - 30th, and July 2nd - 3rd. Great article. Sad and true. More selection, more money for the government. It could be win/win like in Alberta.